The focused ion beam (FIB) system is an important tool for understanding and manipulating the structure of materials at the nanoscale. Combining this system with an electron beam creates a DualBeam - a single system that can function as an imaging, analytical and sample modification tool. 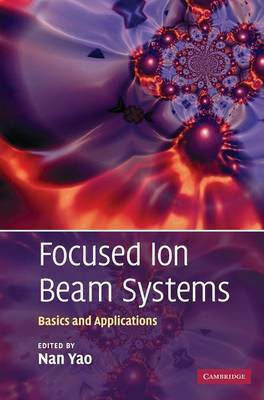 Presenting the principles, capabilities, challenges and applications of the FIB technique, this edited volume, first published in 2007, comprehensively covers the ion beam technology including the DualBeam. The basic principles of ion beam and two-beam systems, their interaction with materials, etching and deposition are all covered, as well as in situ materials characterization, sample preparation, three-dimensional reconstruction and applications in biomaterials and nanotechnology. With nanostructured materials becoming increasingly important in micromechanical, electronic and magnetic devices, this self-contained review of the range of ion beam methods, their advantages, and when best to implement them is a valuable resource for researchers in materials science, electrical engineering and nanotechnology.